The creation and growth of American Sikh organizations and activism following 9/11 has given women greater leadership roles and status within Sikhism in the U.S., writes Sangeeta Luthra in the journal Sikh Formations (online April 20). 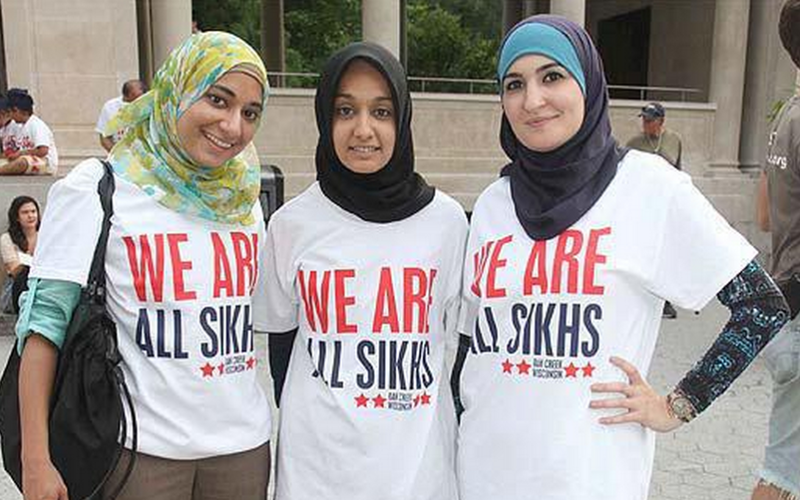 The targeting and misidentifying of Sikhs (usually men with turbans) as Islamic extremists since 9/11 and the attack on a Sikh gurdwarah in 2014 in Michigan led to a new wave of institution building and activism that sought to safeguard religious freedom and civil rights and educate the public about the Sikh religion. These new institutions are built on the American Sikhs’ technological savvy—many work in IT fields, proficiency in English, and experience dealing with the media in the U.S. Although not likely to match the funds raised for gurdwarahs (Sikh temples), “the impact of these institutions is still very significant in shaping Sikh’s ethics, community and identity,” Luthra writes. Another important trend is that over time the largest of these organizations have gone from “primarily online interactions to adding on programs that encourage face-to-face interactions within and across communities.” These interactions are less formally segregated along gender lines than the traditional worship and practices within gurdwaras. Couples or families tend to sit and do siva together at these activities. Based on interviews with Sikh community leaders and analysis of Sikh web sites, Luthra finds that women have attained more leadership roles in these post-9/11 organizations. The women interviewed report feeling empowered by such involvement. The status of Sikh women improved overall after 9/11 after leaders “began referencing the Sikh belief in the equality of women as an authentically Sikh ideal and American ideal… This messaging contrasts to earlier periods of Sikh American activism, during which Sikh women’s equality was not seen as a pressing priority for activists. I believe that Sikh American civic engagement is creating new spaces for Sikh women’s equality and empowerment,” Luthra concludes.